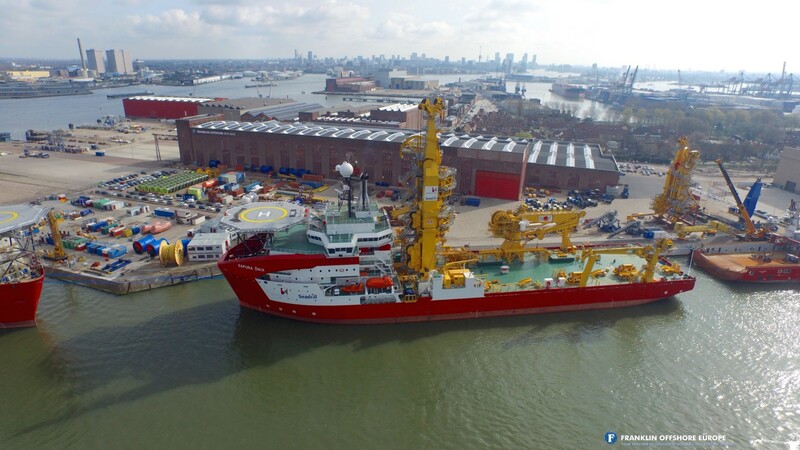 Franklin Offshore Europe B.V. provides 24/7 quayside and logistics support services for the oil and gas exploration and for marine construction companies. We can provide total logistics support on short/long-term projects. The combination of experience, expertise and investments in the facility cranes, operational plant and personnel provide the total package which results in operating quickly, efficiently and cost saving. Our fabrication department can fabricate all kind of constructions and/or lifting equipment like spreaders, lifting beams, link/tri plates, etc. Also modifications or repairs from existing constructions, lifting beams and/or spreaders are often performed. All constructions can be made on client request and can afterwards be placed from our quayside on to the vessel. 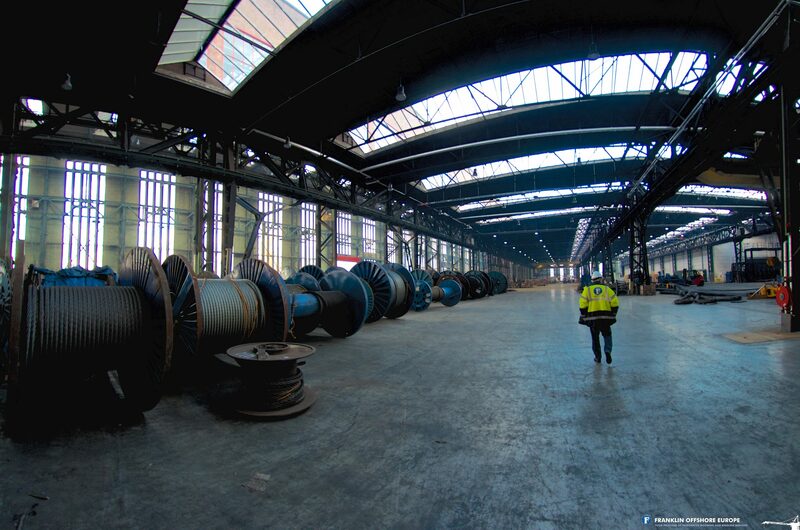 We operate a large fleet of hydraulic spooling winches used in the removal and installation of steel wire ropes. Our multi-purpose spooling units can accommodate variety of reel sizes, dimensions and weights. Performing maintenance inspections (visual / MPI) and equipment certification on-site or at our yard. Approved products receive a proof (re-) certification or an inspection report. With these different services we can provide, we can cater to our client needs and be the one stop shop they need. The benefits of having all these services at one location are: saving money, experiencing the versatility and the convenience of one point of contact. Our facility is ISPS certified. If needed, we can provide additional local ISPS ship entrance security. Are you interested in renting a place at our quayside? Or is your preference renting space in our warehouse? Just contact us for the possibilities, our team is ready for all your questions.